I love short stories! Here is an anthology of 10 mysterious tales. From the Big Island to Kauai, the far side of Maui to the bustling streets of Honolulu, experience paradise in all its glory...and darkness. This collection of ten stories brings out the beauty of the islands, the passion of the tropics, and, yes, murder. 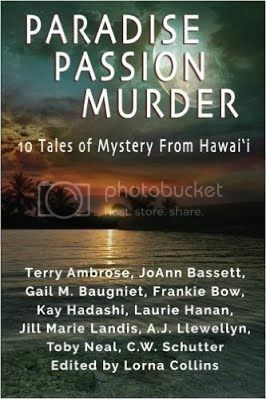 Join ten writers who love the islands and want you to savor the tropics while benefiting literacy in Hawaii.